Holly Willoughby and Philip Schofield only just managed to keep it together when their biggest fan Michael Glaister came on the show but viewers at home were in tears. 10-year-old Michael Glaister is one of This Morning’s biggest fans and absolutely adores hosts Holly and Phil. He first caught the show’s attention when he got in touch asking if he could get one of the This Morning branded mugs. Michael, who was diagnosed with autism as a toddler, also developed his speech through watching the show and pretending to take on Holly and Phil’s jobs. Michael was able to make his presenting dreams a reality as he did the opening line to his segment and had the script changed to read ‘The Michael Glaister Show’. Holly congratulated him and said he was far more professional than her and Phil and Phil joked that he could replace him as soon as he turns 18. 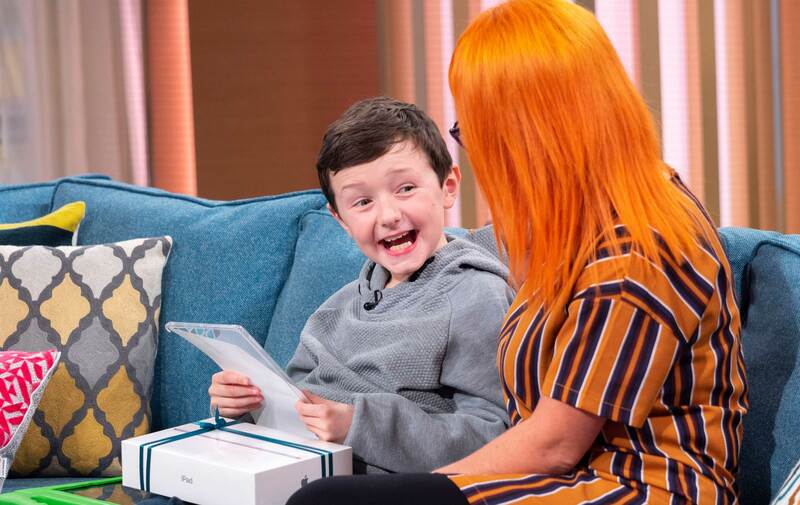 Michael was clearly delighted to be on the show with his heroes and leapt up to hug Holly and Phil after they handed him a hamper filled with This Morning branded goodies including a water bottle, cue cards and signed pictures of the hosts. 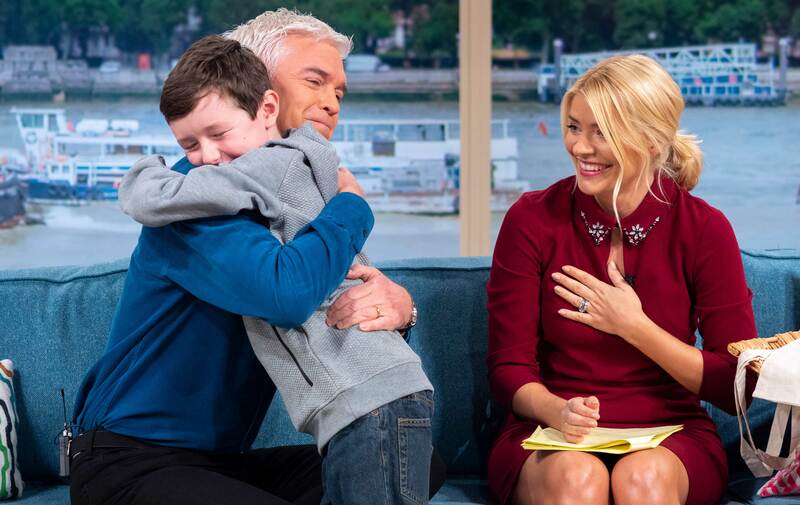 Holly and Phil were clearly touched by the little boy’s gesture but were able to hold back the tears – unlike viewers at home. One person wrote: ‘Omg how utterly adorable was that little boy. It made me cry when he hugged Holly and Phil’. Another tweeted: ‘@thismorning @phillipscofield @hollywills from New Zealand just saw your interview with Michael Glaister …that wasn’t good television …it was magic. From a police officer that has an autistic family member thank you …x’. Did you catch yesterday’s show? Did you find it as emotional as the other viewers? Head over to our Facebook page to share your thoughts and your favourite heartwarming moment from This Morning.